How to access mac remotely? If you have multiple Mac devices, you probably wonder how you can access another one remotely. There will come a time when you need to access your office Mac device using another one from home, or vice versa. When this happens, know that there is a bunch of easy and convenient ways on how to access a Mac remotely. How to Access Mac Remotely / Remote Access Step 1 - Launch the Start window by opening the Screen Sharing app. How to Access Mac Remotely / Remote Access Step 2 - Type in the Apple ID of the Mac device you want to remote to beside Connect to. How to Access Mac Remotely / Remote Access Step 3 - Wait for the remote device user to receive the request to access message. How to Access Mac Remotely / Remote Access Step 4 - All they have to do is accept the request message. How to Access Mac Remotely / Remote Access Step 5 - The remote device user can either allow you to view the screen only or control your screen remotely. How to Access Mac Remotely / Remote Access Step 1 - Open System Preferences on the remote Mac device. How to Access Mac Remotely / Remote Access Step 4 - Press Command + Space and type Screen Sharing on your local Mac device. How to Access Mac Remotely / Remote Access Step 5 - Type in the phrase under the Computer Name panel of the Sharing System Preferences section. You will also likely to enter your Mac's name. How to Access Mac Remotely / Remote Access Step 1 - Open System Preferences and select iCloud. How to Access Mac Remotely / Remote Access Step 2 - Turn on Back to My Mac. How to Access Mac Remotely / Remote Access Step 3 - Go to System Preferences. Then, head on to Sharing. See if the Screen Sharing checkbox is ticked. How to Access Mac Remotely / Remote Access Step 1 - Head on to System Preferences. Then, go to iCloud. How to Access Mac Remotely / Remote Access Step 2 - Open the Finder window then look for the Shared menu. How to Access Mac Remotely / Remote Access Step 3 - Select the Mac device you want to connect to. How to Access Mac Remotely / Remote Access Step 4 - Click Share Screen. How to Access Mac Remotely / Remote Access Step 1 - Go to System Preferences. How to Access Mac Remotely / Remote Access Step 3 - Beside iCloud Drive, select Options. Here, you'll see all the files you can store in your iCloud drive. How to Access Mac Remotely / Remote Access Step 4 - Check the box beside Desktop & Documents Folder. How to Access Mac Remotely / Remote Access Step 5 - Some of your files will be stored in your Mac when the Optimise Mac Storage checkbox is ticked. However, once you run out of space, some of your files will automatically be stored in your iCloud. How to Access Mac Remotely / Remote Access Step 6 - Make sure that all of the files you're working on are either stored in your Desktop, Apple Apps, or Documents folder. If you want a more professional approach when it comes to accessing another Mac device remotely, then invest in a third party software. Usually, these tools will allow you to access your devices remotely in a much secure and convenient manner. Just like any other software, they need to be downloaded and installed on both the local and remote computers. Once installed, your local device with the right credentials can now access your remote computer from anywhere at any time. However, it is important to note that some of these tools aren't completely free of charge. There are still a lot of ways on how you can access another Mac device remotely. The list stated above only provides you with some of the more practical approaches on how you can remotely access another Mac device. However, if you're looking for the most secure and effective remote access solution for Mac, then you might want to invest in a third-party software. 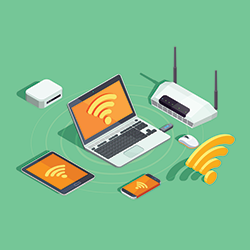 Now that you know a few techniques on how to remotely access a Mac device, you can now enjoy wider connectivity even outside of your local network. Does Remote access on MAC is useful?